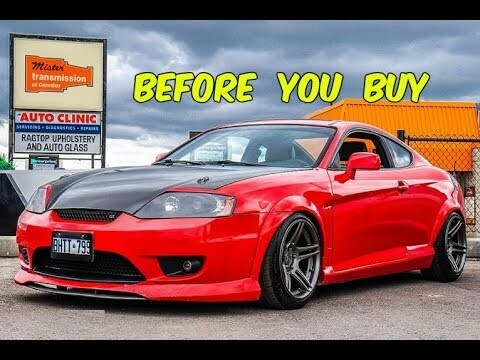 Hyundai Tiburon GT 2006 Review. I've had the car for about 5 years and the previous owner took really good care of it. They bought it brand new and I bought it used, but overall the car has lasted pretty long having over 270k miles on it. The car still functions the same as when I bought it and I think that's pretty amazing. It's a very comfortable car and the performance is great with pretty nice gas mileage. Good car lasts long time, rarely gives problems mostly the 02 sensor but has strong engine, small car not ideal for big families. If looking for speed not a good car for it but nice style, comes in nice colors too. Very reliable. Features are outdated but can definitely count on it. Tiberon also known as shark. The vehicle performs well and is reliable. Being a sports vehicle it is not necessarily comfortable and rides a little rough. It is all a preference for what you want in a car. I like it is features however. The enhances stereo system I have makes road trips really nice.